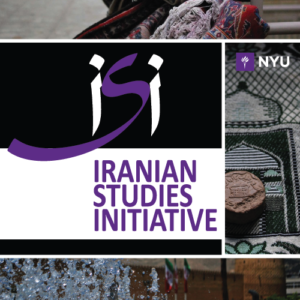 An exercise in identity formation, this talk probes the ways in which Iranians – both persophone elites and the subaltern who rarely speaks – since Safavid times have engaged with the world around them. It views the apparent rupture represented by the three-quarter century following the fall of Isfahan in 1722 as crucial in this process of self-fashioning. Relatively isolated from global currents in the period, Iran’s elites by 1800 were ill-prepared for the aggressiveness of the new world that had meanwhile come into being. Matthee talk demonstrates that their subsequent interaction with the world was not linear, but circuitous, full of contradiction, a blend of pragmatism, admiration and skepticism inherited from past times, producing a self-view that was just as ambivalent.